The year is starting to come to an end, but there are still plenty of YA releases to look forward to! What books are you excited to read this month? I adore Marissa Meyer’s The Lunar Chronicles, and I’m excited to start her new series—a take on Superheroes and Villains! 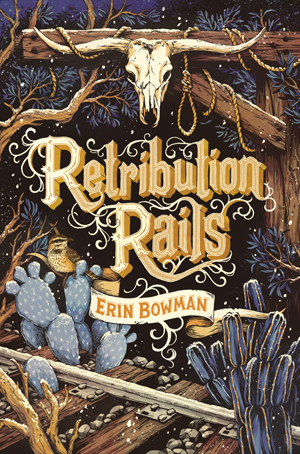 I loved reading Vengeance Road when it released two years ago (read my mini review here), and I can’t wait to dive back into this world Erin Bowman has created with the companion novel, Retribution Rails! Cassie Hobbes has been working with the FBI since she was a teenager. Now twenty-three years old, she and her fellow Naturals have taken over running the program that taught them everything they know. As a unit, they’re responsible for identifying new Naturals—and solving particularly impossible cases. 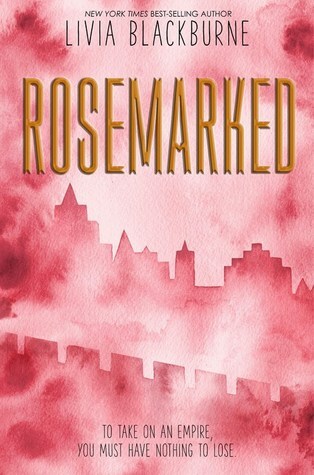 When their latest case brings back a ghost from their past, Cassie and the other Naturals find themselves racing against the clock–and reliving their own childhood traumas.In a small, coastal town in Maine, there has been a rash of teen suicides—or at least, that’s what the police believe. Mackenzie McBride, age twelve, thinks differently. 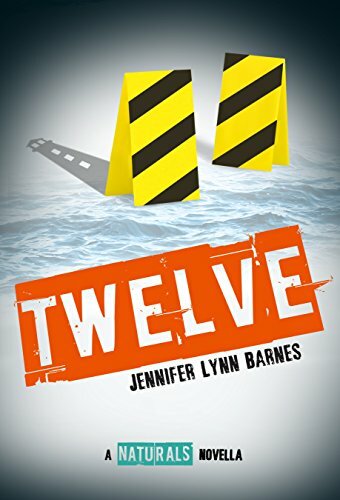 Desperate to make herself heard, she stands at the top of a lighthouse, threatening to jump…unless the FBI agents who rescued her from a kidnapper at age six come to hear her out. Enter the Naturals. It doesn’t take Cassie long to realize that Mackenzie isn’t bluffing: she truly is convinced that the suicides are murder, and she really will jump if she can’t get the FBI to believe her. To the outside world, Mackenzie is nothing more than a traumatized child. But so was Cassie, once upon a time. So were Michael, Dean, Sloane, Lia, and Celine. With a storm rolling in off the ocean and Mackenzie’s position becoming more precarious by the moment, the Naturals have very little time to get to the truth about the deaths—and about twelve-year-old Mackenzie McBride. Jennifer Lynn Barnes’s The Naturals is one of my favorite series, and I am so happy that it will continue with this novella! 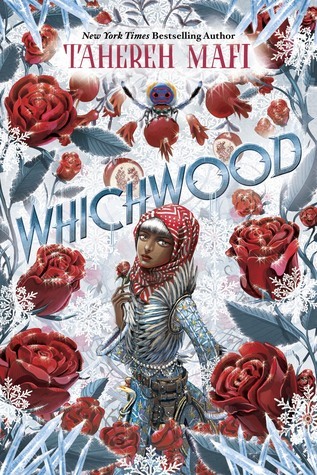 A fantasy with political edge and slow-burn romance? I’m sold. I actually haven’t read Tahereh Mafi’s Furthermore yet, but I loved her Shatter Me series and have been wanting to read this new books! I’m already in the Christmas mood, and I’m so excited to read a holiday story! Which November YA releases are you most excited for? I can’t wait for Renegades, Witchwood and the Caos of Standing Still. Thanks for the other recs, my TBR is bursting! I haven’t started Barnes series but I hope to this month . The Naturals is one of my favorite series! I also really love her other series, The Fixer! 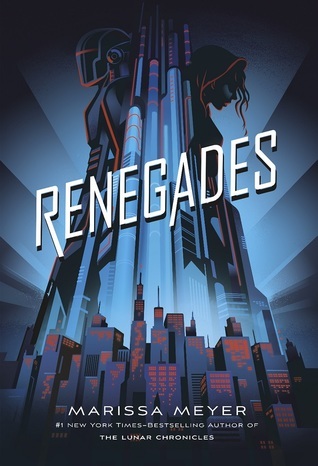 I haven’t finished TLC yet, but I’ve seen a lot of hype on Renegades. I can’t wait for Becoming of Noah Shaw! I read the first Mara Dyer book a few years ago and have been meaning to get to the other books—now I have a new incentive so I can read Noah Shaw! I want Renegades, Rosemarked and Whichwood soo bad!! 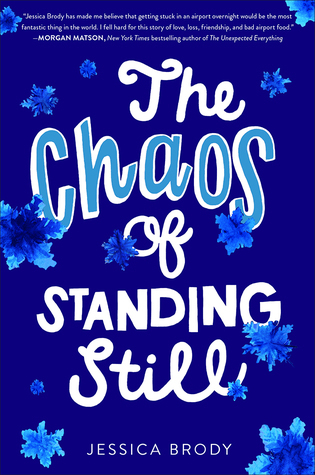 I can’t wait to read The Chaos of Standing Still. It sounds fun!